While touring with ACO, Jennen Ngiau-Keng established a successful shoe company. Now he wants to give back to the music industry. 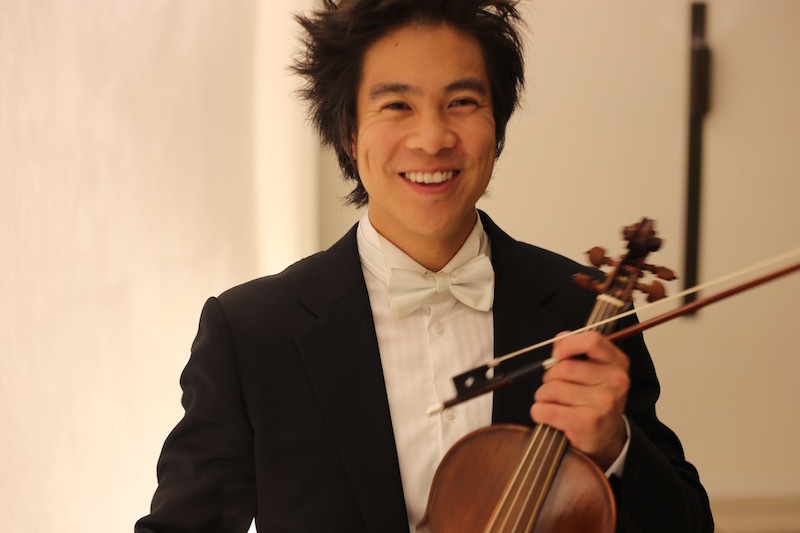 Jennen Ngiau-Keng, an entrepreneur and violinist from Melbourne, has established a new violin competition, with the encouragement and support of many of Melbourne’s leading violinists. The early rounds will take place online, and the semi-finals and final will be held in Melbourne in October 2018. The 2018 Melbourne Violin Competition is sponsored by Ngiau-Keng’s company JENNEN shoes. Open to all ages, the competition is centred on Bach’s Six Sonatas and Partitas. The winner will take home a cash prize of $5000, while the other two finalists will receive $1000. “Music competitions were integral to my personal and musical development. From the age of six, my mother entered me into all of Melbourne’s music eisteddfods on both violin and piano. As a result of competing in hundreds of eisteddfods and competitions, I became comfortable with performing on stage. The experience also boosted my confidence in all areas of my life,” says Ngiau-Keng. From 2002 to 2005, he studied at the Australian National Academy of Music and won several competitons including the Kendall National Violin Competition and the Australian Youth Classical Music Competition. After graduating, he performed on a casual basis with the Melbourne and Tasmanian Symphony Orchestras. In 2007, while touring with the Australian Chamber Orchestra, he set up an online business selling handmade, height-increasing shoes for men, which proved so successful he opened boutiques in Melbourne, Sydney and Brisbane. Now Ngiau-Keng is keen to help violinists walk taller too. An enthusiast of The Six Sonatas and Partitas BWV1001–1006 of JS Bach, Ngiau-Keng decided to dedicate the competition to these works. The first stage of the competition requires entrants to video themselves performing any one movement, while the second stage will require them to video two movements. “Since the repertoire is solo, entrants can record themselves in their home or practice room without the need of a pianist. This not only makes it more cost effective, but also encourages them to take their time to view their recordings, self-reflect and re-record until completely satisfied that their performance reflects their personality, interpretation and capability,” explains Ngiau-Keng. Entrants selected for the semi-finals will perform one compelete Sonata or Partita. Three violinists perform the same work at the final the following day. Fifty leading Melbourne violinists will attend the final concert, to be held at the Abode 318 Sky Lounge. Comprising past and present members of Melbourne Symphony Orchestra, Orchestra Victoria and the Australian String Quartet, as well as string staff from the Australian National Academy of Music, The University of Melbourne and Monash University, they will vote anonymously for their favourite performance. Entrants must register online by March 31, 2018. The semi-finals and final will be held on October 20 and 21.